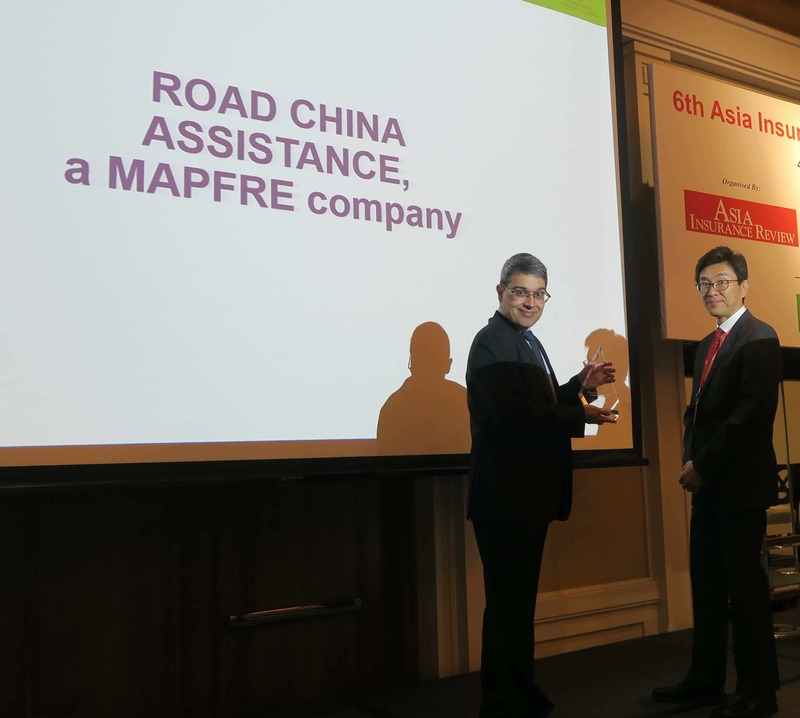 ROAD CHINA ASSISTANCE, MAPFRE ASISTENCIA’s company in China, has been acknowledged for its work relating to innovation and technology in the seventh edition of the Asia Insurance Technology Awards (AITA). The award highlights the contribution of ROAD CHINA ASSISTANCE to the insurance industry in the Asia-Pacific region, specifically through Auto Ecosystem, a centralized customer service model based on mobile technology, also able to include providers in a single ecosystem, to automate processes and to exchange data in real time. Auto Ecosystem is the result of the coordinated efforts of MAPFRE ASISTENCIA and aspires to act as a facilitator within the industry, enabling stakeholders to take strategic decisions based on data. Organized by Celent and Asia Insurance Review, the awards were presented during the 6th Asia Insurance CIO Technology Summit, and the prize was received by Xabier de Ramón, the company’s Legal Area Supervisor in APAC. ROAD CHINA ASSISTANCE is working on the design of an innovative value proposition for roadside assistance, promoting a new operational model which will have the flexibility to meet future requirements: Internet of things, connected car, e-Call and b-Call, sharing economy and other new developments.